The Taliban have killed at least 21 people in their latest attacks in Afghanistan, despite the beginning of peace talks with Afghan officials in Moscow. Among the dead were 11 policemen slain when fighters stormed a checkpoint in northern Baghlan province, provincial officials said on Tuesday. The attacks were reported as Taliban representatives began meetings with prominent Afghan figures, including former President Hamid Karzai, opposition leaders and tribal elders – but not Kabul government officials. In the checkpoint attack, the Taliban targeted the local police force in the province’s Baghlani Markazi district on Monday night, triggering a gunfight that lasted for almost two hours, said Safder Mohsini, head of the provincial council. They have been staging near-daily attacks, inflicting heavy casualties on the embattled Afghan army and security forces, as the US is keen to pullout of the war-torn country. The two-day meeting in Russia‘s capital between the Taliban and mainly Afghan opposition figures, is seen as another step in a process aimed at resolving the country’s 17-year war, one that has accelerated since the appointment of US peace envoy Zalmay Khalilzad last September. But the Moscow meeting has sidelined Afghan President Ashraf Ghani‘s government, which has criticized the gathering. Ghani has repeatedly called on the Taliban to begin talks with his government, which the Taliban refuses to recognise, calling it a “puppet” of the US. 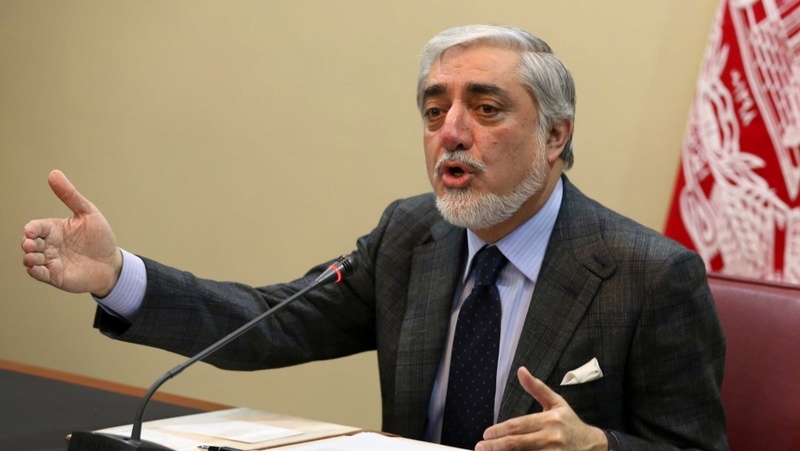 Abdullah Abdullah, the country’s chief executive, said on Monday that the Afghan government should be at the centre of any peace talks, adding that Kabul “would prefer the Moscow meeting had a different shape”. Abdullah said that Taliban were the biggest obstacle to peace, but that if the Moscow meeting creates “an opening for real peace talks, it would still be a step forward”. Among those attending the meeting is Haneef Atmar, a former national security adviser who is running against Ghani in presidential elections set for July. Ex-Governor Atta Muhammad Noor and former Afghan President Hamid Karzai – both Ghani rivals – are also attending.